Inflatables can be found at parties and events across the country. Traditional favorites like bounce houses, moonwalks, and inflatable waterslides are a hit with kids of all ages, adding fun and excitement to any gathering. Inflatable interactives may not be as familiar, yet these creations bring a whole new dimension to events. While solo play aboard an interactive is a great way to spend the afternoon, the real fun begins when you add competition to the mix. Go head to head with friends, or create a team event. Here are some of our favorite interactive inflatable games you can play at your next outdoor event. Just like their more familiar cousins, interactive inflatables use the same materials and construction methods to add life to the party. These interactives feature multiple elements, giving young participants the chance to bounce, climb, slide, and jump. Think of a bounce house with the addition of an inflatable obstacle course, a climbing wall or pyramid, and a slide – multiple activities means endless hours of entertainment! Solo Time Trial – aboard an interactive, individual participants are timed as they navigate the various activities and obstacles. Whoever makes it from one end to the other in the shortest amount of time wins. Winners can receive prizes or special recognition for their achievements. Interactives can be especially challenging, as they incorporate features like slides, horizontal and vertical obstacle elements, and climbing areas. Head-to-Head Battle – in this game, two participants race against each other. Many interactive inflatables feature two entrance openings, usually in the form of an arched doorway or an entrance ramp. This permits fierce competition between two friends. Race through the openings, climb over, under, and through the obstacles, then scale the climbing ramp on the way to the slide. Whoever gets to the end first is the winner! Team Relay Race – this game is great for larger groups of children, such as to be found at outdoor festivals or bigger birthday parties. The participants are divided into two teams, and each member of each team tries to navigate the interactive as fast as possible. Once the teammate ahead of you finishes the course, it’s your turn. Once everyone has had their turn, the team that finishes first is the winner. Relay Station – relay races are always a great way to spend time with friends, and a commercial-grade inflatable interactive game brings a new dimension to this popular competition. Use the inflatable as one of the relay stations, incorporating it into a larger relay race that may include activities like sack races, balloon popping, one-legged races, and so much more. The interactive can be positioned anywhere on the course, and the multiple activities are sure to produce plenty of laughter and fun. Owning your own commercial-grade inflatable bounce house business can be rewarding as well as profitable. With a relatively small investment and a bit of hard work, it is possible to enjoy financial freedom as you operate your own small business. Naturally, when others see your success, they may inquire about what it takes to own a bouncer rental business. There are many questions you may be asked, including what it takes to run a successful operation. In this guide, we’ll share some of the tips you can provide to interested parties, helping them to make smart business-oriented decisions. 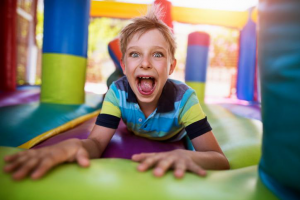 The first question many rental business owners get is often “where did you buy your bounce houses?” In many cases, business owners may not wish to divulge all of the details, including where purchases were made. Still, if you feel comfortable answering this question with specifics and are pleased with your business investments, feel free to name-drop the manufacturing company. More importantly, it is a good idea to talk about why you made your purchases with the chosen company. Not all inflatables manufacturers are the same, and quality varies across the industry. A good inflatables manufacturer uses superior materials and construction standards to ensure quality. Heavy-gauge vinyl fabric and stitching add durability to the completed bouncer or inflatable slide; lesser companies may use thinner fabric or skip reinforcement steps that negatively impact the life expectancy of the finished product. The very best companies also include rigorous testing and safety procedures when manufacturing their products. Innovative safety features like blowout panels, internal baffles, and finger-friendly mesh window openings keep youngsters safe when enjoying playtime inside the moonwalks you rent to event hosts. Quality materials, quality construction, and high standards of safety should be the first priority when sourcing inflatables for your rental business – while these products may be more expensive in initial investment, they are the foundation of your operation. Don’t skimp, and encourage others to focus on the same quality in their own rental business ventures. It goes without saying that customer service is a dying art, regardless of the business being discussed. Unfortunately, customer service is the leading “touch point” in customer/business interactions, and failing to invest the effort to deliver great service can mean business failure down the road. Maintaining high levels of customer service not only helps create a loyal customer base, but it can also help to create strong “word of mouth” advertising. Satisfied customers are far more likely to recommend your business to their friends and families, improving your business prospects without the expenses associated with traditional print or television advertising. When answering questions from curious people, make a point of stressing the value and the return on investment of delivering quality customer service in any business interaction. How you manage each customer experience can spell the difference between long-term success and eventual failure of your operation. Above all, be polite and encouraging to anyone who asks questions about your business. Again, you don’t always have to provide all the details – maintaining a certain level of secrecy about the inner workings of your operation is often a good idea, especially when dealing with competitors. Still, being friendly and open with your knowledge of the bounce house rental industry can create goodwill, possibly even convincing someone else to give this profitable business venture a try. 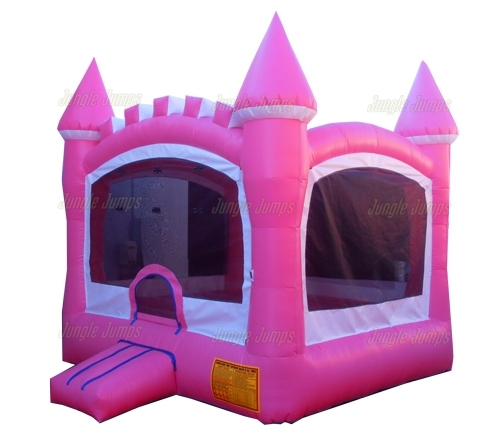 When you first look at inflatable jumpers for sale in order to start your home based bounce house rental business it is unlikely that you took into consideration the vast amount of stress that comes with owning a business. Look online and you will find hundreds of websites that tell you how amazing it is to own any sort of home-based business. On paper, the idea of owning a business is amazing. You get to make all the decisions and you get to be your own boss earning as much money as you want. The reality of the situation, however, is extremely different and one of the biggest reasons why so many bounce house rental businesses fail is because the owners do not know how to handle stress. It is extremely important that you learn how to handle a great deal of stress when you run your own business. It is not easy to tell everybody the one thing that they can do to alleviate stress, this is simply because everyone handle stress, and alleviates it, in a different way. Some people enjoy taking want bubble baths for other people like to go out to the shooting range. The vital part about all of this is that you need to figure out how you can alleviate the stress in your life the fastest way possible. Where can you go, or what can you do, that completely and totally relaxes you? Figure this out and plan on doing it at least once a week and you will find that the stress level you currently have decreases significantly. Also, learn how to depend on other people. You are only one person and, if your business is successful, it is going to grow beyond what you can handle yourself. Figure out who around you is best equipped to help you out and, once you figure out who that is, bring them on board slowly. Once you learn how to trust another person, and are able to hand off some of the work to that person, you will find that the stress decreases, again, significantly. When you own a business that rents out inflatable jumping castles it is easy to get confused. One of the worst things that can happen when you own any type of business is getting so disorganized that you don’t know your up from your down. Unfortunately it’s very easy to get disorganized when you own any type of business that does renting, especially if you own a business that rents multiple types of items. One of the most important things you need to learn when you own a business that rents bounce houses is how to stay organized. If you are someone who is naturally organized this may not be difficult for you. If, however, you are someone that is not naturally organized you may have a bit of a problem. 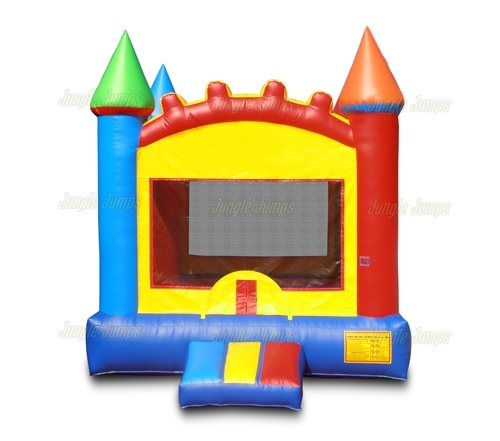 One of the things you will definitely need to make sure that you have if you want to stay organized with your inflatable jumping castles rental business is an information sheet. The information sheet should be your go to sheet for all of your clients. But what type of information do you put on the sheet? All of the information that you need in order to make sure that you arrive on time and prepared to handle your customers needs. First, make sure you have the name of the person who was responsible for booking you as well as their contact number and mailing address. Now remember, their mailing address may not be the same address as the location of the event so make sure that you have two separate lines – one for the mailing address and one for the location of the event. In today’s technical world many people believe that simply getting the physical address of the location of the event is enough as they will be able to put the location in their GPS and be guided directly to the site. This is not necessarily true. Not all GPS units work perfectly, which is why you also need to make sure you have written down on your sheet exact directions to the event so that the chance of you getting lost is low. Make sure you also put down the time the event is supposed to take place as well is the time that you told your client that you would arrive. 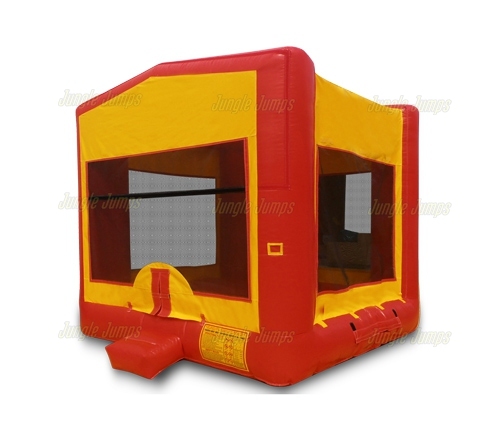 Write down the type of surface the bounce house will be placed on and whether or not it is level and free of obstacles. Write down how far the power source is from your bounce house and the deposit amount as well as the date of the deposit. All of this information will help to keep you organized and ready to serve your clients. There are so many things to know when you start a bounce house business they can be very intimidating for even an experienced business person. 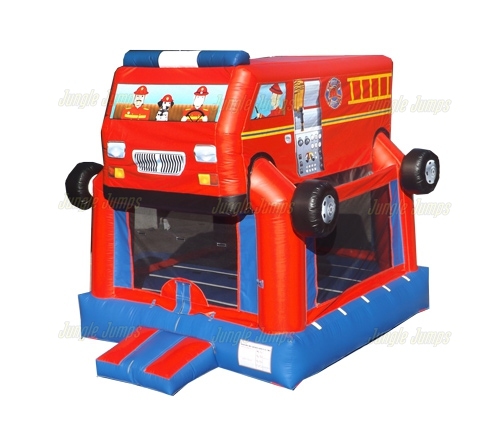 Simply purchasing commercial inflatable jumpers is not enough to guarantee that you are going to have a successful bounce house rental business. Unfortunately it’s almost impossible to become a business expert overnight, but if you want to have a successful bounce house rental business there are number of important things that you should know that you may currently not. Because a rental business requires booking ahead of time, one question that many business owners have is whether or not they should require their clients to pay in advance for booking. Some owners of other businesses do require fees in order to hold the date at the time of booking. Take, for instance, a wedding photographer. It is not uncommon to see a wedding photographer requiring half of the funds upfront in order to hold the day. But do you need to do this when you own a bounce house rental business? It is actually a very good idea to make sure that your clients are required to pay a small amount in order to hold the date that they have booked. It does not have to be half of the amount, even a mere $50 will help to ensure that your client is serious about booking your commercial inflatable jumpers, but there is another huge reason why you should think about requiring your customers to pay something when they book. What happens if a client books and then cancels on you? You miss out on potential income. If you held the date for this client and turned away other offers only to have the client later cancel on you, you get absolutely no money. If, however, you require your clients to pay a portion of the rental fee in order to successfully be booked you will at least have that money in your pocket. Make sure that you not only require a booking fee, but that you also require the contract to be signed before you set up a bounce house. Often business owners will send out the contract, generally via email, and will require the deposit to be sent back with the contract.